Many of us will remember the movie starring Robin Williams and the green goo, Flubber. Whether inspired by the rubbery and bouncy qualities of the fictional character (or not), a UK company created its counterpart. Although the real life Flubber doesn’t bounce around in a crazy way, it does other mind-blowing things. Like saving lives. The ‘orange goo’ was developed by D30, a UK based company. The gel is still under development, however, already it shows remarkable results. It’s unique in its field, and here’s why: “If I wrap it around my fingers, it’s very soft, but if you hit it with great force, it behaves more like a solid that’s absorbing the shock and none of that impact goes through my hand.” According to Felicity Boyce from D30. The miracle gel is used in helmets, shoe insoles, armors and much more. It can reduce the impact of head injuries by 53% (compare to foam). Not only can it do that, but it makes items more comfortable, too. Think about a gel shoe insole. Only this one will help you perform better and also protects your joints while running. Sounds amazing, right? What’s even better is the fact that you won’t get all gooey when using it. It is imbedded into the helmet (or shoe), and that’s where the real magic lies. D30 is working towards blending the goo with other stuff, still maintaining its unique qualities. Let’s ask the cards to see whether the orange goo is the answer to all our problems. Or is it one to cause further ones in the future? Many of the world-destroying inventions were designed to harm originally, either. This project brings joy and happiness both to the developers and the users. The goo gives a sense of security and peace. The inventors started this project thinking about all the positive things it can achieve. They are unaware of the danger lurking at their heels. This card represents real success and recognition. 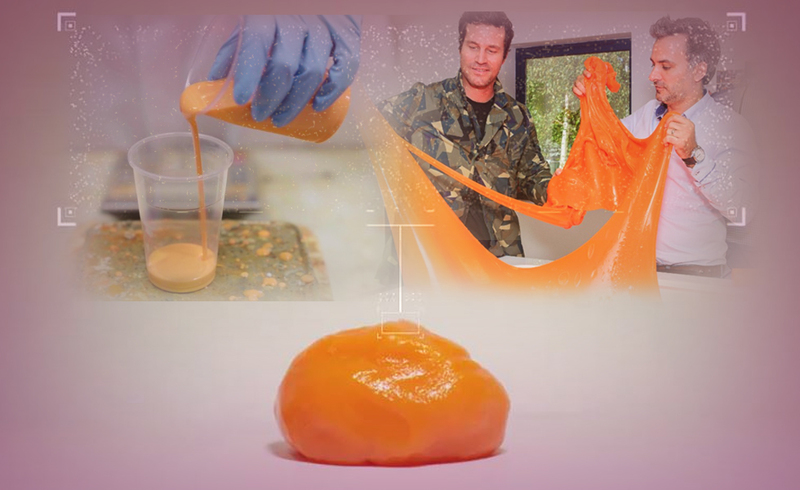 The orange goo is becoming more and more popular and well-known. However, this sense of success can also bring self-importance into focus. As we said earlier, everything should be good as long as it doesn’t fall into the wrong hands.